Café Del Mar blue pedal steel ambience. July skies. Antena`s loon bird track. INXS` piano noir. Sakamoto`s genius. Cool and mellow, until Renegade Soundwave`s abrasive robot informs you that something more than “chill-out” is afoot. Mick Khan does a Jasper Van`t Hof. Kool Moe Dee samples Paul Simon. Public Enemy get accused of misogyny. Hell hath no fury like a rapper scorned. Slab! make unexpectedly funky in a Love & Rockets covering The Tempations kind of way. Sly & Robbie reverse backwards into Wordy Rappinghood. Pop Go-Go and Laswell`s Celluloid beats abound. The Woodentops employ ON-U muscle to get their message across. It might be hard to imagine now but the stationing of US missiles in Europe in the mid-1980s, meant that everyone spent some time wondering what they would do in the event of a three minute warning. Terrifying TV docu-dramas were made. Midge Ure sang about it (Japan at present is still under a very real threat. Not from Midge Ure, but North Korea). Alfredo and Leo bought the live version of “Why?” from Supporti Fonografici in Milan during the Winter of `86 and made it a highlight of the night during the following season at Amnesia. The Adrian Sherwood version they found later that summer at Delta Discos on the White Island. 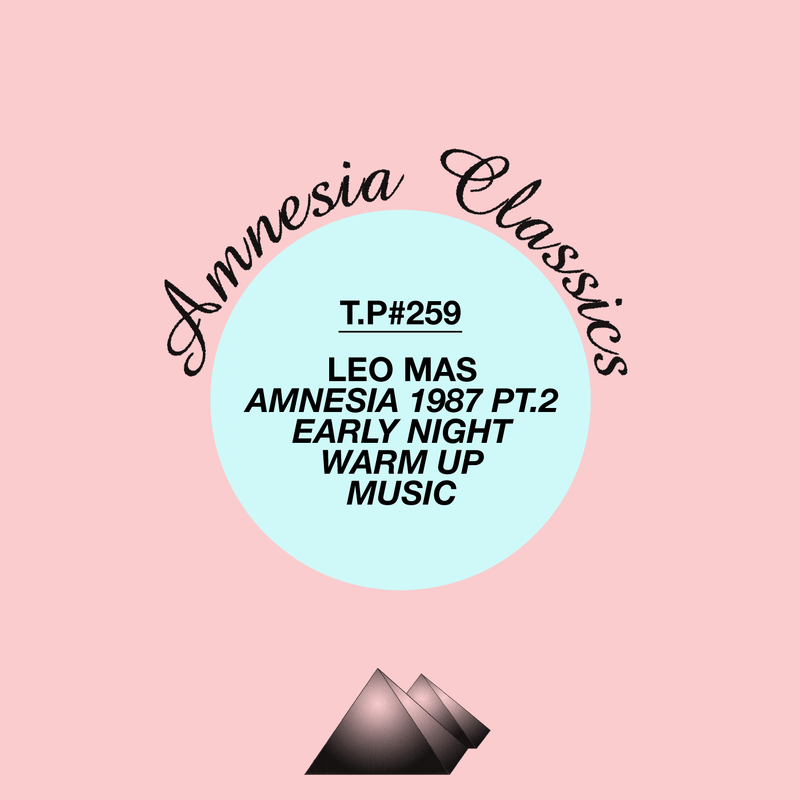 The thing that made Amnesia stand out from the other Ibizian clubs was the music, defined by Alfredo and Leo`s shopping trips in Milan, and not dictated by chart and radio hits (no MC Miker G or DJ Sven here). Leo`s only concern was to entertain early arrivals by playing, with complete freedom, records of quality and interest. Other bars on the island with a similar agenda and play-list, such as The Keeper, with DJ Pippi, did not open until late in 1987. “Corri The Bob” turns in an epic, while The Tams do a Clarence Carter and try not to snigger. I can remember Danny Rampling listing The Cure`s “Why Can`t I Be You?” as one of his all-time favourite records (alongside The Gipsy Kings and Chris Rea) in somewhere like the NME (I hope Phil`s got the article safely stashed away). Lloyd Cole`s New York cocaine diaries. Meet me in the John, John. The beat of Prince`s broken heart. Together let`s try to imagine what silence looks like.